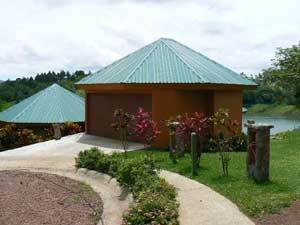 Thisfive-year-old home is located in a gated community beside Lake Arenal about 4 miles from the all-services, hilltop town of Tilaran. 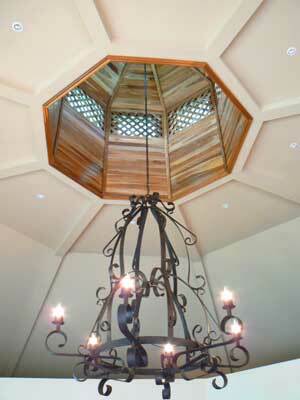 The attractive hexagonal design is repeated in the detached guest cottage and also the garage. There's a lovely clubhouse with large pool. The climate is temperate and breezy year-round, and it's less than two hours to the Pacific beaches if you require really hot weather occasionally. The home is for sale fully furnished, including the art. 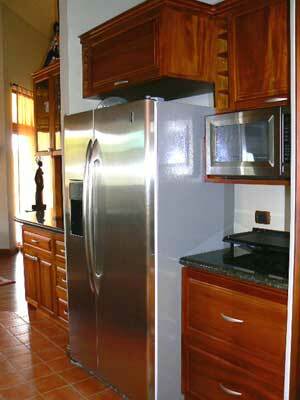 All the fine appliances are included, including an Italian gas range and big side-by-side GE refrigerator. 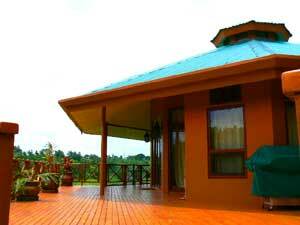 The main house has 2 bedrooms and 2 baths while the guest cottage has a single bedroom, bathroom, and a kitchenette. Covered walkways join the three buildings. There's wildlife (howler monkeys, sloths, etc. ), including an amazing variety of birds. 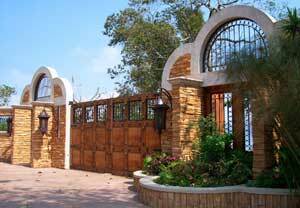 The Puerto San Luis Resort and Yacht Club is nearby, so there's boating and fishing easily available. If you have your own boat, there's now moorage available in the protected cove. 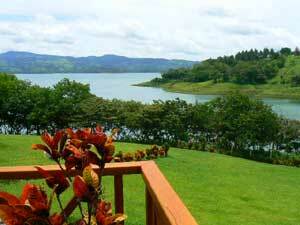 The expansive deck overlooks gorgeous San Luis Cove and the main lake beyond. 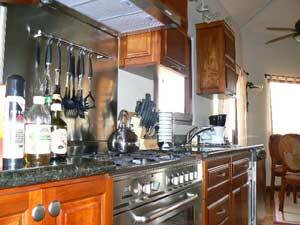 The kitchen has an Italian mega-range amid its high-quality cabinets and other components. 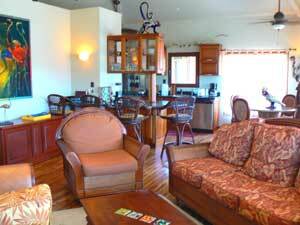 The photo of the main living area shows the bar behind the living room and, to the far right, part of the dining area.